Barack Obama looks like he’s having the time of his life since his presidency ended and frankly, he’s never looked cooler. 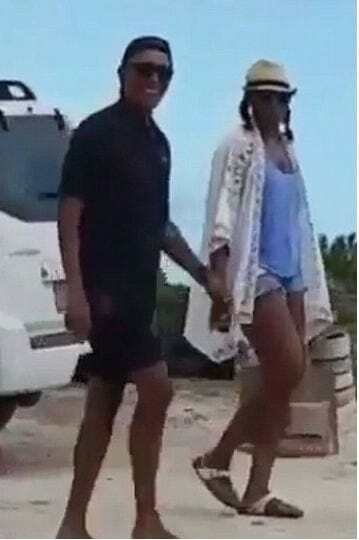 The former president and his wife Michelle are currently on vacation, on one of Richard Branson’s Virgin Islands and Barack Obama looks so relaxed, TMZ reports. He must be in such a state of total chill he’s opted for toe-post flip-flops, shades and a snapback – fitted on backwards – which makes him probably the coolest president America has ever had. The couple have been caught on camera looking super-stylish, as they saunter casually across the beach to one of their billionaire pal’s many (many) seaside homes. Obama looks like he’s just stepped off the set of a hip-hop video or straight out of the 90s and to be honest it’s a really good look for him. Although he looks extremely chilled, Obama did take some time out of his well-earn’t vacation to tweet after Trump’s controversial Muslim ban earlier this week. I bet they’re glad they’re well away from all the drama that’s been kicking off back home in the states, but then it’s not really their problem anymore is it?